This is the story of Ali Akbar Abbassian, who served the Cause tirelessly during the time of the Master, and is remembered for his generosity and overflowing love for the Master. Most of the information in this story was passed to us from generation to generation and was preserved in the purest form of oral tradition. My aunt Touba Maani, who lives in Vitoria, Brazil patiently narrated Ali Akbar’s story to me on two separate occasions, which led to these notes. I’m deeply grateful to her for such an inspiring gift. 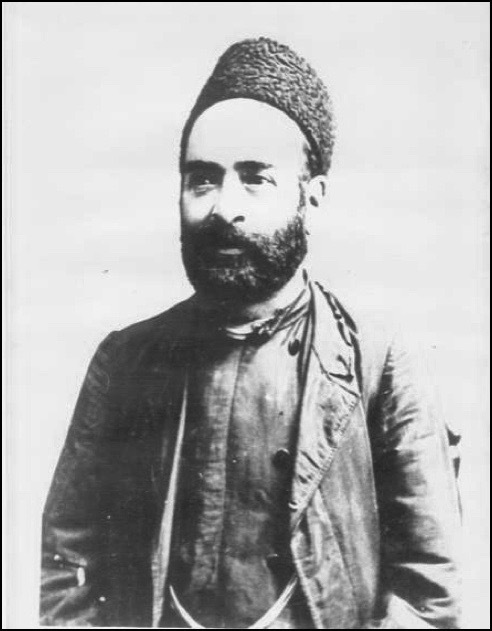 Ali Akbar Abbassian was born in the city of Tabriz in ancient Persia during the time of Bahá’u’lláh. He moved to Ishqabad, a city in the Russian empire which today is the capital of Turkmenistan, at the early age of 17 to work at a crystal factory. The owner of this factory was a Bahá’í and taught the Faith to Ali Akbar. Ali Akbar was instantly convinced of the new Revelation, enthusiastically embraced it, and immediately began sharing it with others. Living in an Islamic environment, it soon dawned on him that the best way to teach the Faith would be through bringing out proofs from the Quran about the new Revelation of Bahá’u’lláh . However, Ali Akbar felt he lacked the knowledge and skills to do that. He wrote directly to Bahá’u’lláh asking Him for the bounty of being able to teach the Faith based on Quranic proofs. Bahá’u’lláh responded with a loving Tablet in which He told Ali Akbar to first bathe and cleanse himself, and then turn to the Qiblih and read a prayer specifically revealed for him with all his heart. Ali Akbar did just that as directed by the Supreme Pen. It was not long before his home was flooding with seekers to whom he taught the Faith based on Islamic proofs. One of his closest Bahá’í friends in Ishqabad was Mr. Ali Akbar Furutan, who decades later would be appointed a Hand of the Cause of God. Ali Akbar grew strong in the Faith as days passed by. He was progressing both spiritually and materially in life. He later became a crystal merchant who owned his own store in Ishqabad and exported crystals to Iran. His son Rahim would help him both as a shopkeeper and translator from Persian to Russian. Ali Akbar once returned to Tabriz to visit his family and teach them the Faith. On that occasion, his mother, Tuti Nane, a widow by then, along with other family members, became overwhelmed with the new revelation and embraced the Faith. Tuti Nane was an illiterate eye nurse, but had understood the Faith well enough. She would pay home visits to treat people’s eyes and would teach the Faith at the same time. 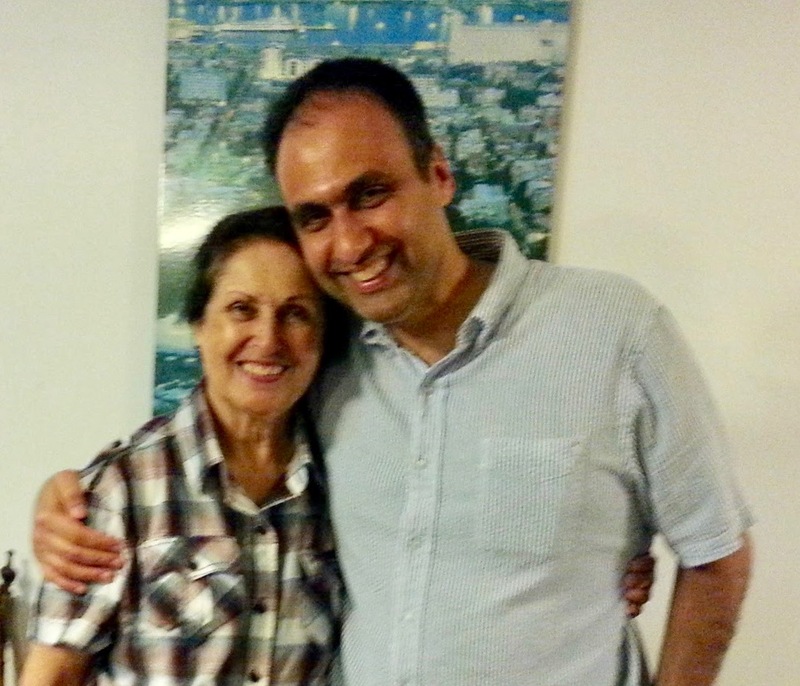 Once a Bahá’í travel-teacher who was visiting Tabriz fell seriously ill and Tuti Nane took it upon herself to care for him for an entire month, an act of great courage and kindness on her part in the context of Persia at the time. A number of Bahá’ís who had so much admiration for her wrote to Bahá’u’lláh to report her kindly act. Bahá’u’lláh responded warmly that He was fully aware and kept watch over of everything His servants were doing, and showered praises and blessings on Tuti Nane. When she passed away at the time of ‘Abdu’l-Bahá, the Master too revealed a prayer in her honor in which he beseeched God to bless her and all her descendants. Ali Akbar became the first trustee of the Huququllah in the Ishqabad region during the ministry of ‘Abdu’l-Bahá, and worked with Haji Amin, the trustee of the Huququllah appointed by Bahá’u’lláh. One of his fellow believers once recalled how he would take his Huquq to Ali Akbar and, at the end of the visit, Ali Akbar would walk him to the door as an act of respect and assure him that the Huquq would bring him blessings and prosperity. When ‘Abdu’l-Bahá traveled to England, some English dignitaries wanted to pay for His expenses there. ‘Abdu’l-Bahá declined and asked that a telegram be sent to Ali Akbar in Ishqabad so that Huquq funds could be sent to London to cover His expenses there. At that particular point in the year, no Huquq funds were available with Ali Akbar. Yet he wired the entire sum from his own resources as if they were the Huquq’s. ‘Abdu’l-Bahá expressed His gratitude to Ali Akbar and sent him as gift His own aba’ (cloak) and a signed photograph of Himself. So devoted was Ali Akbar to the institution of the Huququllah that he would pay the Huquq even on items explicitly exempted from the Huquq in the Kitab-i-Aqdas such as his house, household belongings, and his bread-earning business. Ali Akbar once had the blessing of going on pilgrimage to the Holy Land with some other Bahá’ís from Ishqabad to bask for one month in the sun of the beloved Master’s presence. As shown by his departure from home at an early age and acceptance of the Faith, he was very much an independent man with a free spirit. A matter with respect of Ali Akbar was reported to the Master during the pilgrimage. During the Ashura holiday of Shia Islam, all the Baha’is in Ishqabad would shut down their shops, but Ali Akbar would keep his crystal store open. This certainly displeased some of the friends. The Ashura holiday is one of the most sacred holidays for Shia Islam, in which Shia Muslims mourn the martyrdom of Imam Husayn through self-flagellation and other displays of grief. One night, when the Ishqabad pilgrims were in Abdul Baha’s presence, some of them complained to the Master about Ali Akbar not shutting down his store during that Ashura holiday. Ali Akbar felt very embarrassed by the complaint lodged with the Master, but ‘Abdu’l-Bahá said nothing about it. A few days later, the Master came to Ali Akbar and said, “You know that ‘Abdu’l-Bahá is your partner in your business, don’t you?” Ali Akbar humbly responded in the affirmative. ‘Abdu’l-Bahá continued, “This partner would ask that you please close down your shop during this holiday.” With no questioning whatsoever, Ali Akbar complied with the request of the Master from that day on. On another occasion, ‘Abdu’l-Bahá told him, “You know, Ali Akbar, whenever I enter the Shrine of Bahá’u’lláh, without even thinking I always remember you, and whenever I lay my forehead at the Holiest Threshold, I pray for you and your descendants.” Ali Akbar was deeply touched by the immense love that the Master showered upon him. 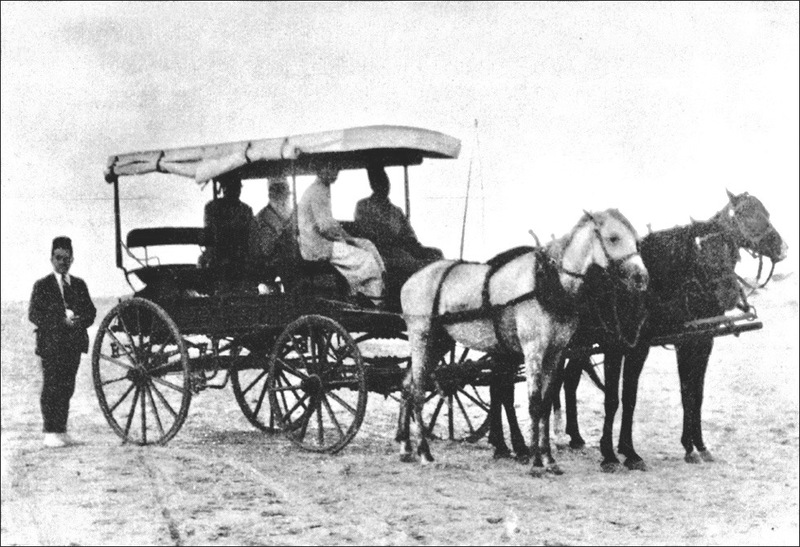 While in the Holy Land for pilgrimage, Ali Akbar noticed that ‘Abdu’l-Bahá did not have a carriage. He had to walk on rocky paths, which was troublesome and at times painful as well. When Ali Akbar returned to Ishqabad, he had a horse carriage custom made and sent as a gift to the Master. When the Bolshevik Revolution reached Ishqabad around 1919, the revolutionaries were confiscating all private property, including homes and businesses. They would typically expropriate the entire house and force the former owner and his family to live in just one of the rooms. Ali Akbar’s house, however, was never confiscated. Somehow, the revolutionaries passed by his house and never took it away. As for his business and store, the Bolsheviks said they would purchase rather than expropriate them, for a fair price, and would give him all the money from this purchase there in Ishqabad or in Iran, whichever he preferred. This was certainly seen as a divine intervention! He chose to return to Iran and settle with his family in Tabriz. In Tabriz, he lived with his family in a large house with a spacious living room where he would entertain his guests, share the Faith with them, and chant his Obligatory Prayers in a corner that was separated from the rest of the room by a curtain. His granddaughter Touba Maani remembers being attracted as a little girl by his ardent and melodious voice in prayer. She would pull the curtain to peep in. Rather than telling the little girl to go away or ignoring her, he would welcome her and embrace her, hold her tenderly and continue to pray with her nestled in his lap. The sweetness of those moments and the loving kindness of Ali Akbar were so intense that they made an indelible impression in the heart and memory of that two-year old granddaughter. That old memory still warms her heart to this day. NOTE: The horse carriage is now placed within the compound of the house of Abdullah Pasha in Akka, in a special room, and is viewed by visiting pilgrims. On the wall of the room are placed some photographs of the Master traveling in this carriage. Recent and future pilgrims will especially enjoy the connection of Ali Akbar’s story and their visitation of this room at the house of Abdullah Pasha.